The 2nd Edition of Intro to Music Tech is out! 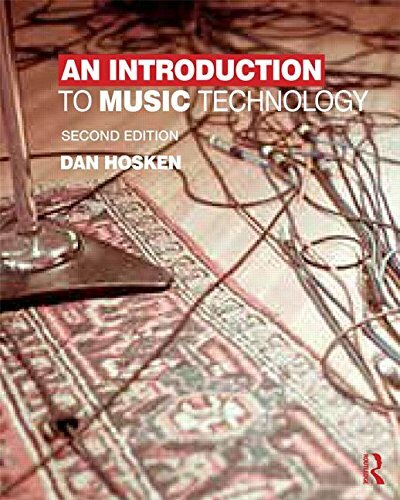 An Introduction to Music Technology, 2nd Edition and Music Technology and the Project Studio: Synthesis and Sampling are published by Routledge (Intro/Project Studio) and available from Amazon (Intro/Project Studio) and other places. Here are the books' companion website (Intro/Project Studio) containing links and audio/video examples. This is a performance from the 2010 NYCEMF Festival. Madeleine Shapiro (the "Mad" of "DanceMad") is the cellist. Ms. Shapiro's virtuoso improvisation is processed live with live-captured sound layered on top of the performance. Near the end of the piece, Ms. Shapiro hands over her cello and controls the sound with just her body. The sound processing and synthesis is all carried out using patches created in Max/MSP. Near the end of the piece, video from a camera focused on the cellist is analyzed in realtime in Jitter (part of Max/MSP) and that motion data is used to control the sound generation. DanceMad was originally part of the larger dance-theater work The OKLO Phenomenon by the Palindrome Intermedia Performance Group. More videos and audio can be found here.